I happen to be in New York again today, the tenth anniversary of September 11, 2001. 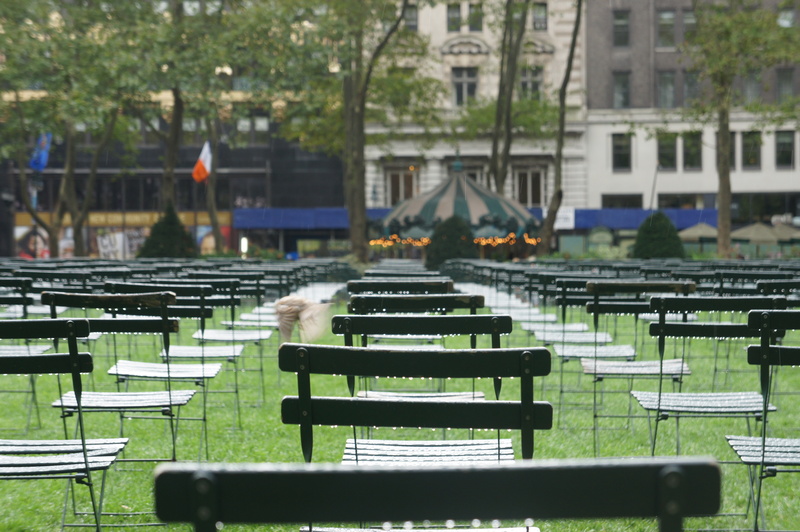 There are many, many moving tributes to those who were lost that day, but the one I thought was especially moving was the patch of 2753 empty chairs in Bryant Park this weekend. Walking around New York City there is a real sense of community here. I have seen New York servicemen and women hugging waving and showing signs of real solidarity. It’s a special day today. Wow! 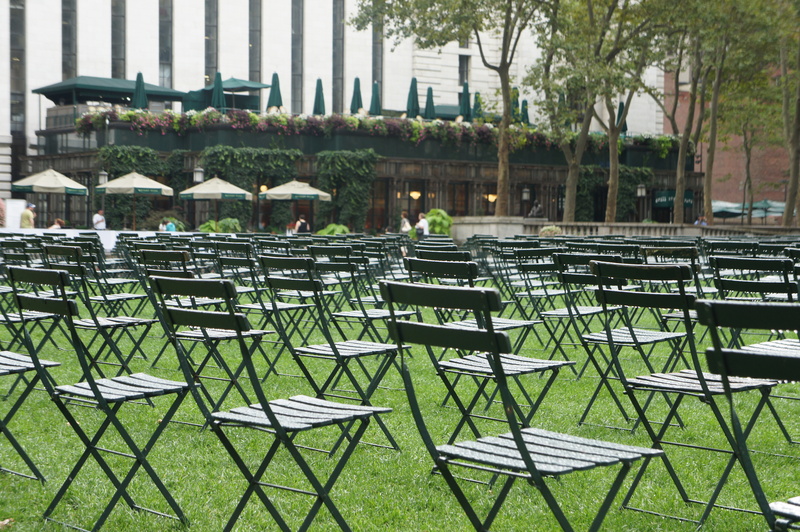 Seeing all those chairs makes a great impact. They haven’t shown this in any of the coverage I’ve watched today, so thanks for sharing this. So sad — what a touching memorial.